Our very own H.E. Roulo announces the release of the story that started her Plague Master book series. Want audio? Love the old radio plays? The fabulous Necropolis Studio Productions, Parsec Finalists for Age of the Zombies in 2009, has released three episodes of The Omega Road Chronicles. H.E. Roulo wrote Episode 3 “The Killer with Eyes of Ice.” It’s described as a mix of War of the Worlds, a dash of Twilight Zone, and a healthy dose of zombies. “The Killer with Eyes of Ice” inspired a portion of H.E. 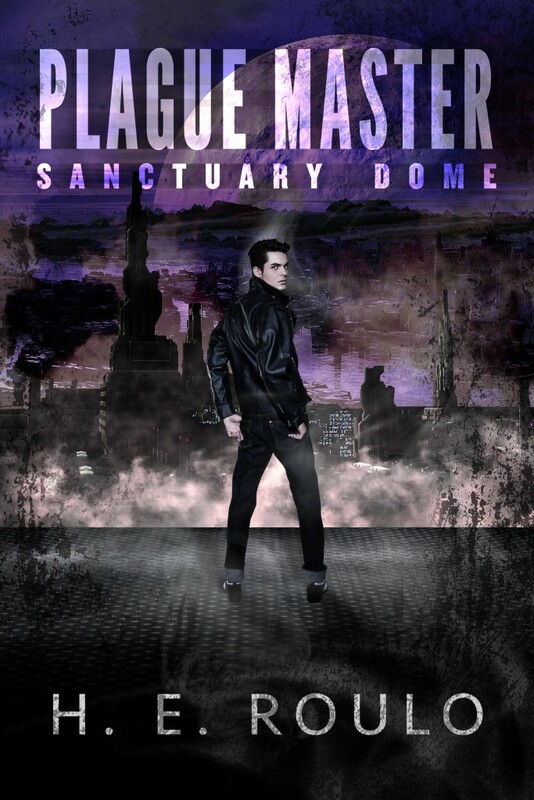 Roulo’s new novel Plague Master: Sanctuary Dome, the first book of the Plague Master series. Now available on Amazon.com. Producer Dave Frizzell layered talented voice actors with music and sound effects. Listen to a story that finally found its voice at the The Omega Road Chronicles. An interstellar plague… An inhospitable planet made into a leper colony… A rush to find a cure… Is it for the greater good? Learn more about this world in Plague Master: Sanctuary Dome. -Jake Bible, author of LITTLE DEAD MAN and INTENTIONAL HAUNTING. Find out more about Heather Roulo at heroulo.com or follow her on twitter.